Hello hello! And a huge welcome to my new-look website, I really hope you like it! I wanted to write a quick post to let you know all about the new functions and features, the work still to be done (a few recipes are missing!! ), show you what my blog used to look like AND say some big thank yous .. so here goes!! New template & homepage – perhaps the most obvious change of all is the fact that I have a completely different blog ‘look’; I’ve gone for a sleeker look but have still kept the underlying theme of red & green to coincide with the apple that remains in my NEW Nic’s Nutrition logo! More social media links – if you follow me on social media then you’ll know that I try to post daily/several times a week (depending on the platform) and because of this I wanted my website to reflect it. At the side and bottom of my blog you will see the latest posts on Twitter, Instagram, Facebook and YouTube. 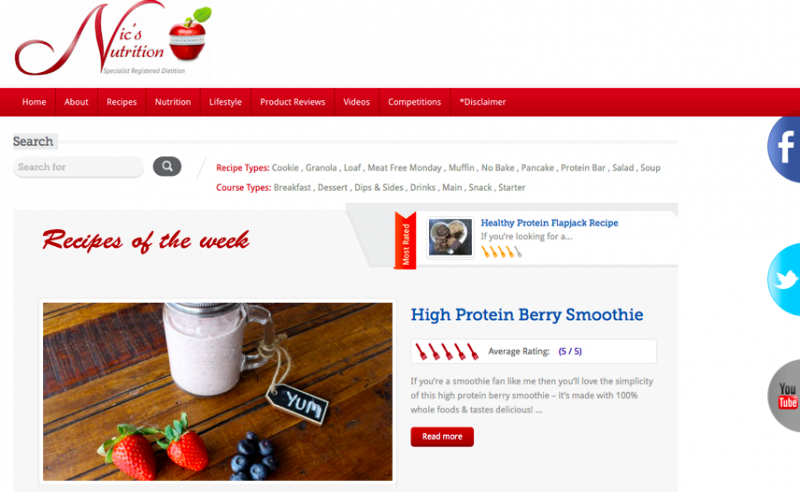 I’ve got a brand new recipe widget – this has to be my most exciting addition to my blog; a recipe widget (found at the bottom of each recipe post) with a fancy print function, nutrition table and more. WORK STILL TO BE DONE – MISSING RECIPES! When I switched over to my new swanky template I unfortunately couldn’t carry over all of my 180 (!) recipes (due to a technical issue) which means that some of my recipe posts do not contain the ‘ingredients’ or ‘method’. As I’ve said on social media, please feel free to email me (using my fancy new contact form above!) or message me on social telling me which recipe you need and I will pop it up. I’m going to work through the 180 recipes over the next few weeks but want to put the ones up that you love and use the most first! 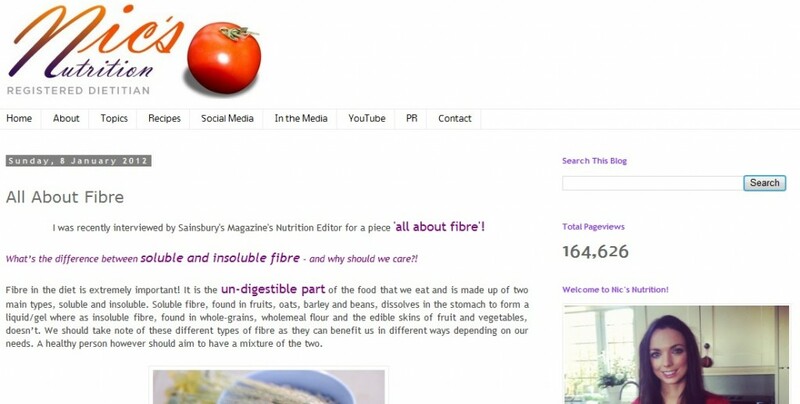 After qualifying as a Registered Dietitian in 2009, in 2012 I posted my very first blog post on what was then nicsnutrition.blogpost.com, and in 2013 I decided create a more user-friendly website; nicsnutrition.com. My first blog post was actually an interview that I’d done with Sainsbury’s magazine. Of course only a few of my quotes ended up being published so I thought I’d publish the full piece so it didn’t go to ‘waste’. The aim of Nic’s Nutrition has always been the same; to inspire YOU to lead a healthier and happy life, one step at a time. At the same time as I started blogging, I started ‘tweeting’ as @nicsnutrition. I remember being so excited about reaching my first 50 followers and feel amazed that as I type this new welcome post I have over 18,000 (wow). The tweets that I receive daily are great – from people asking nutrition questions about foods to pictures of my recipes being created again and again. I really do learn so much from my readers and followers – from the great tips on how you’ve adapted my recipes to understanding what YOU really want to read about. For the last couple of years though I’ve felt unhappy with my blog; although it looked great in 2013/14 I felt it looked outdated. Because of this I spent more time on my social media platforms; including Instagram, Facebook and YouTube. FINALLY though, after losing ALL of my recipe posts, crashing my entire website and being in total despair that my dreams of a new look blog would take me hours to do, I know have a blog that I am truly proud of! My plan is to spend the next few weeks making sure that all of my recipe posts are displayed correcting and my nutrition/health/fitness related blog posts are up to date and read well; some of them are over 5 years old now! 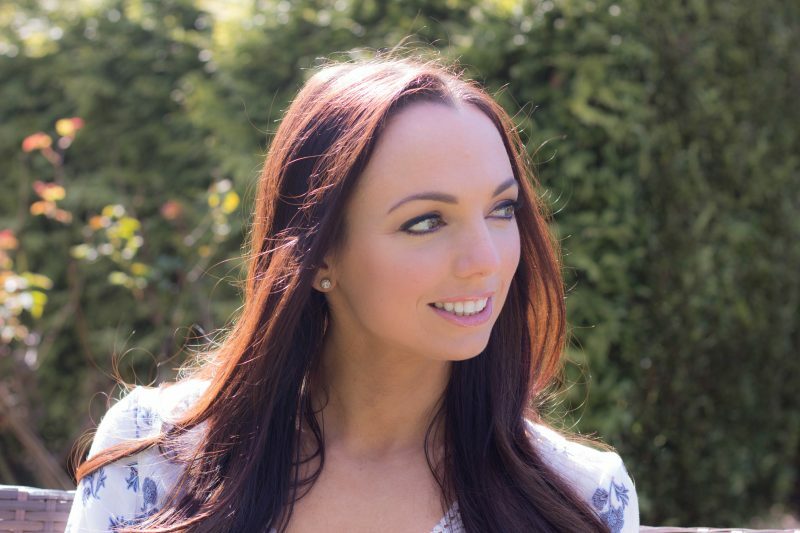 I’m really excited to be working on my blog again and although I’ve never really neglected it, I now want to give it the time it really deserves and help YOU to achieve your health and nutrition goals. There’s a few people that I want to shout out and after mentioning them both in my Facebook Live this morning, the two girls are Abbie, from Abbie Worton Design, who designed my amazing new logo and Amy, from Fields Photography London, who has taken many of the photographs; she photographed my profile picture on my ‘about’ page, the images at the very top and bottom of this blog post, and my chia seed jam recipe (amongst others!). I also want to say thank you to pipdig for designing the most easy to use Word Press Templates and One.com for ALWAYS being there when I have a technical question (they host my website!). I have had no computer training/help with my new website so these guys must be good!! Previous Post Getting Children to Eat 5 a Day!